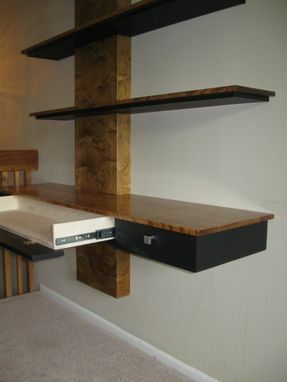 This wall-mounted desk and shelving unit appears to lightly float in your living environment. Though it boasts of 16 square feet of surface space, it requires zero floor space. 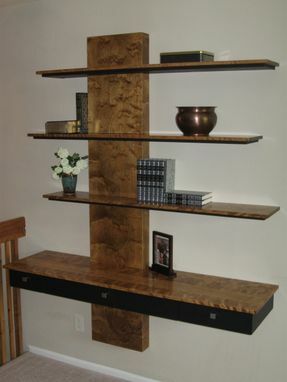 Inspired by mid-century modern thinking, this art is functional as an entry wall unit, work desk, or a credenza. The face of the center drawer drops to accommodate a wireless keyboard. 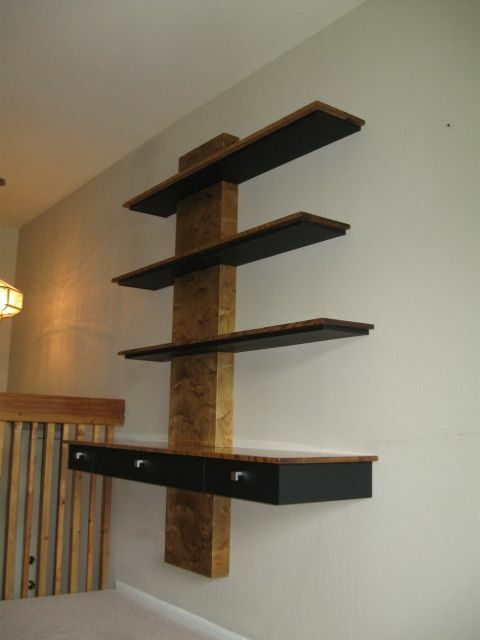 Contact the builder for special requests, such as wood preference. Dimensions: The overall dimensions are 5 feet wide and 6 feet tall, however, it will be mounted 8 - 12 inches above the floor line depending on the desired height of the desk surface.